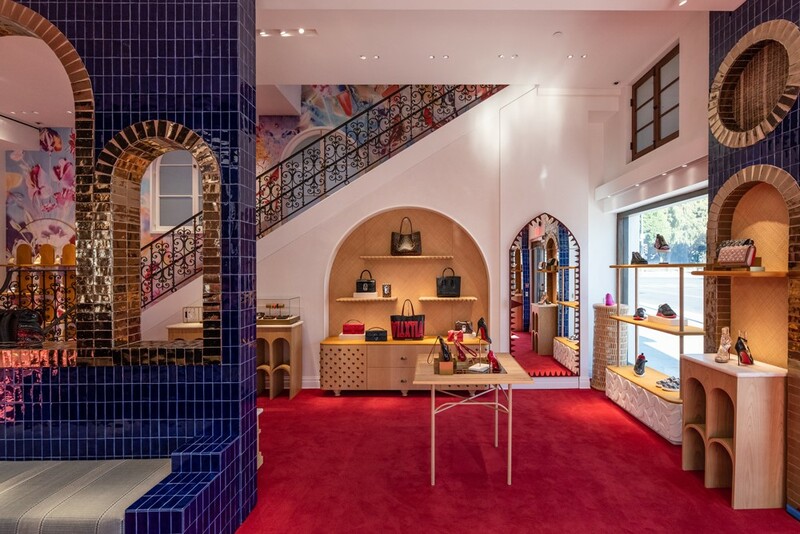 Combining elements of 1970’s interior design and rebellious playfulness, Christian Louboutin reveals a witty and humorous collection of surprising new styles. Boots and stilettos display the result of joyful research with geometric shapes, bold hues and textures for a fresh feel to the season. Boots and iconic bags like Paloma consist of exclusive Jacquard fabric with a wild colour palette while boasting geometric lines. Limitless creativity, adorned with technical conception conceived defying conventions, reproducing natural elements and sculptural shapes. The Interior Design collection is a true representation of Christian Louboutin’s creative vision which overflows with freedom and fun.